Last month I created the hashtag #SlaveryWithASmile in response to Scholastic publishing the children’s book “A Birthday Cake for George Washington”. This book infuriated me and was also condemned by educators, librarians, authors and parents as a false representation of the realities of slavery in this children’s picture book. This topic is not a new one. Academics, educators, writers & publishers have discussed how to tell the stories of Black people with nuance & truth for decades. But this disturbing push to depict #SlaveryWithASmile and portray the lives of slaves & their interactions with their owners without including the truth & barbaric truths of slavery is getting out of control. …we believe that, without more historical background on the evils of slavery than this book for younger children can provide, the book may give a false impression of the reality of the lives of slaves and therefore should be withdrawn. After hosting a full episode of the FRN Podcast on the topic, I began participating in a series of conference calls with a group of amazing Women including Edi Campbell, Alison Criner Brown, Debbie Reese, Atena Danner, Roni Dean-Burren and more. Our conversations were focused on how to bring additional attention to the issue of quality options for children of color in children’s literature. The author of “A Birthday Cake for George Washington” has repeatedly tried to portray #SlaveryWithASmile as a personal attack on her or one specific title. In reality our issues with “A Birthday Cake for George Washington” were never solely about the content of one book. We continue to question Scholastic about how this book made it through their publishing process in the first place. We also have larger demands for Scholastic regarding their commitment to providing quality books for ALL children. The pulling of one book did not quiet our need for answers and action on the part of Scholastic. 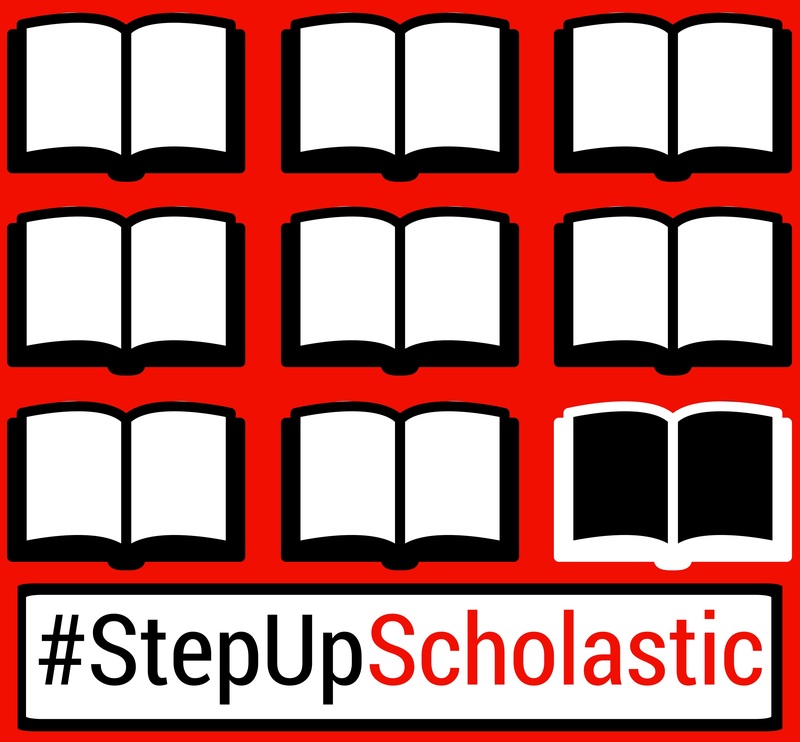 To that end, we are pleased to announce the launch of #StepUpScholastic – a campaign for teachers, parents, and students to tell Scholastic to publish and distribute children’s books that reflect and affirm the identity, history, and lives of ALL children in our schools. Scholastic must increase the representation of people of color and Native Americans to match their audiences. The goals of the campaign are simple, encourage children & adults to critique current offerings from Scholastic and ensure that Scholastic hears their voices in this call for substantive change. How can you engage with the #StepUpScholastic Campaign? Read the content created by Teaching for Change which walks through HOW to critique these books & catalogs. Submit an email directly to Scholastic via our Action Network campaign. Submit a photo or video to the #StepUpScholastic tumblr. Read the STORIFY from our Mon 2/29 #StepUpScholastic Twitter Chat.